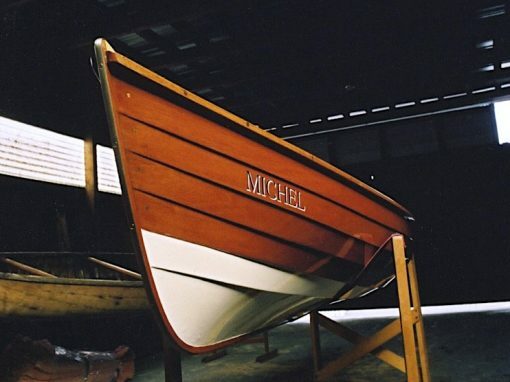 Modern construction refers to the use of adhesives and often laminated components as a primary method of constructing a hull. 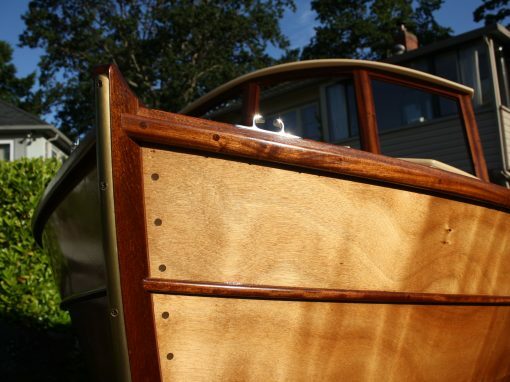 There are several methods of modern construction, but mostly we use the glued lapstrake plywood method. Cold moulding and strip building are other modern methods that are possible options. Each has some advantage over the others, but the end result is what we refer to as a “monocoque” hull structure. This means that often there is little or no structural framing required. 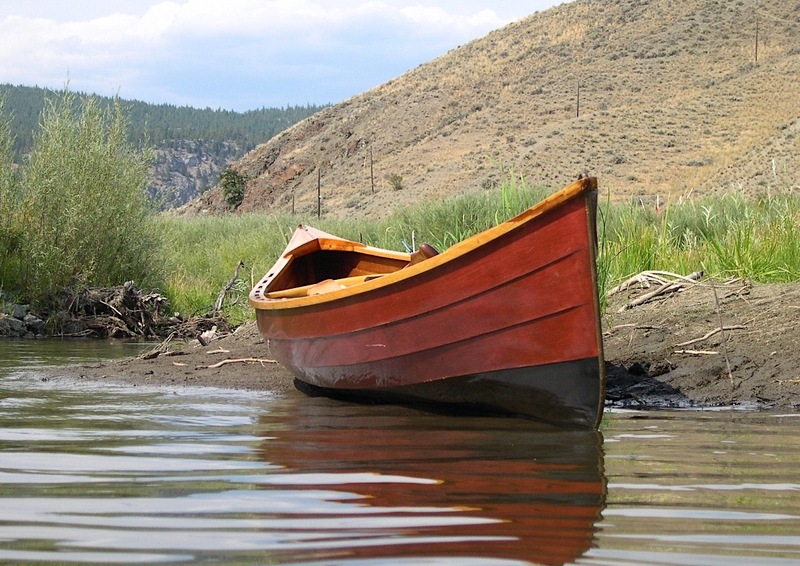 These boats are typically lightweight and stiff. 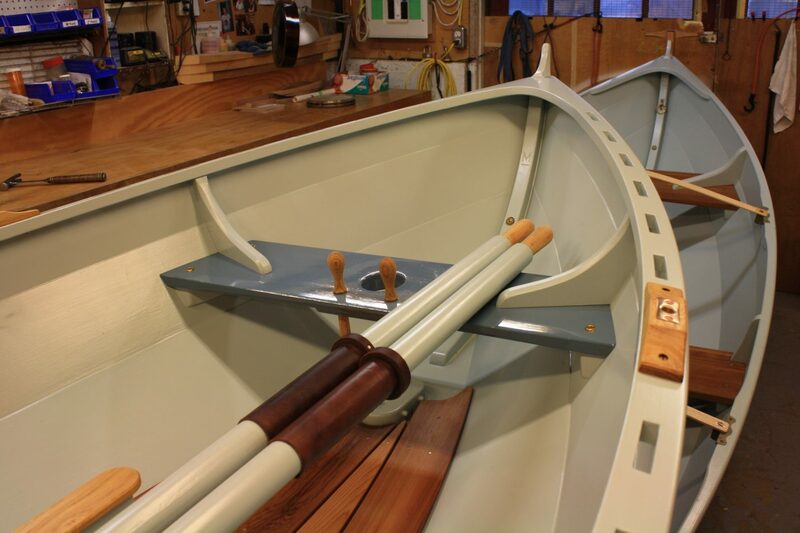 For the glued lapstrake plywood method, we use West System epoxies and high-quality marine plywood to achieve lightweight, low-maintenance craft that are resilient, and easy to use and transport. As a result of the monocoque hull, the uncluttered interior is easy to clean and maintain finishes. The lapped plank lines add stiffness and allow the finished craft to carry an outward appearance of traditional construction. This construction method makes a variety of craft easily car-toppable or towable by small vehicles. 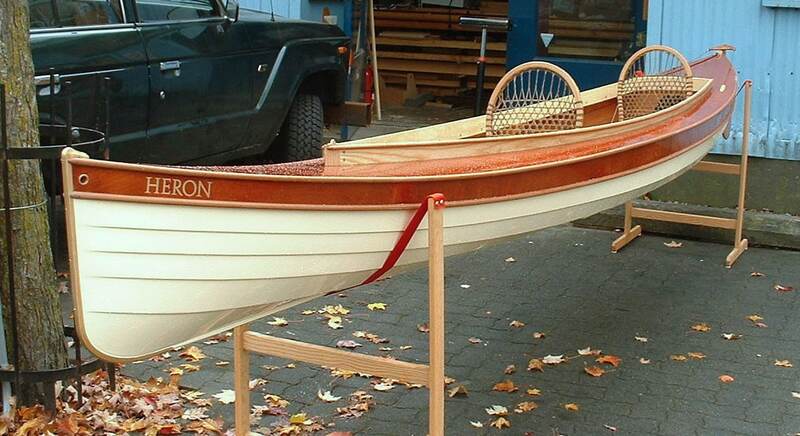 The glued lapstrake plywood technique is quite common in rowing and sailing craft, but it is not often used in canoes. 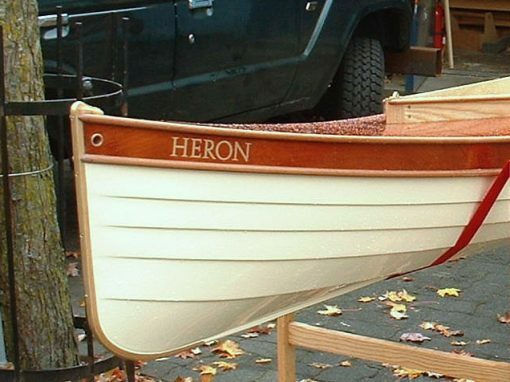 This is a shame because it is a great choice for these craft; the laps add stiffness to the long hull forms and they also add character, allowing the builder to use paint rather than varnish and still get very attractive results. 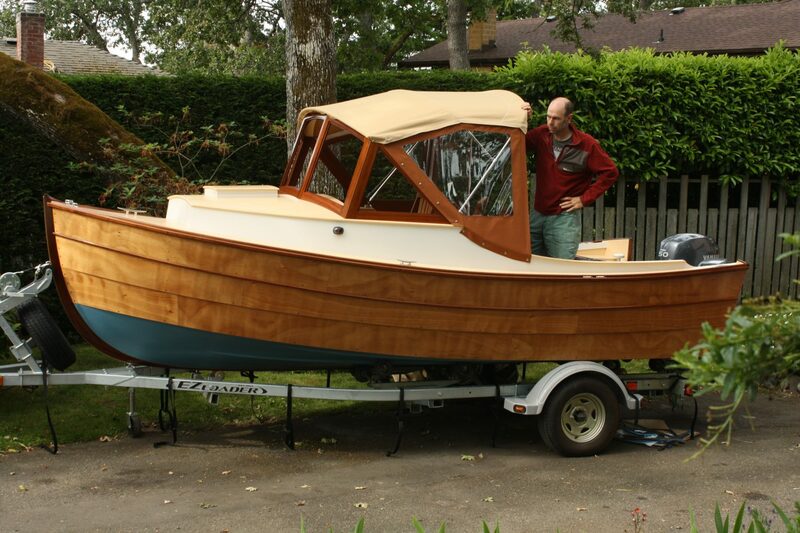 This sport fisherman was designed for us by naval architect Tad Roberts to satisfy the needs of a customer who wanted a wooden boat that approximates the popular production boat Arima 16 in size and capability but with less weight and more cockpit space. 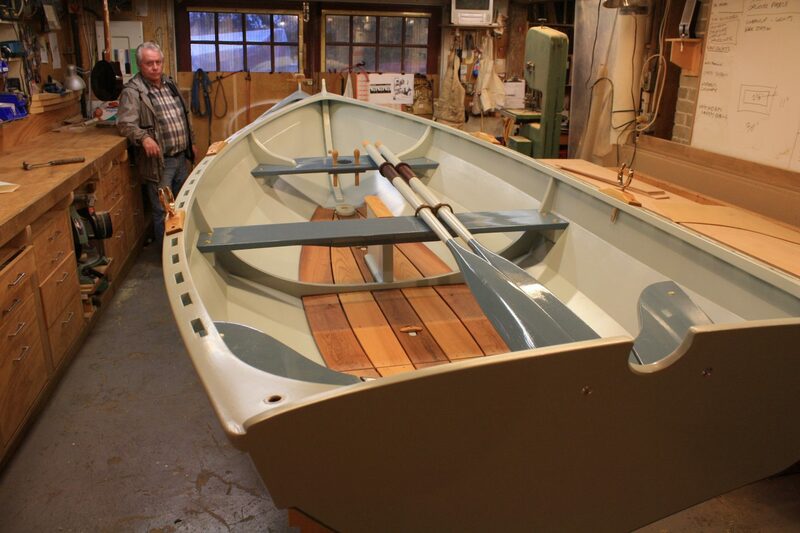 This decked canoe, originally designed and built by R.W. 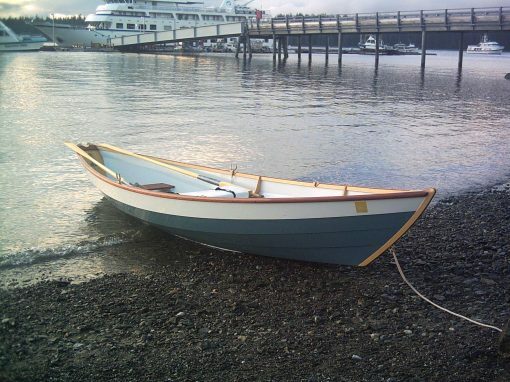 Gibson in 1885, can be used as an alternative to a tandem kayak or can be rigged out as a sailing canoe. We modified this design for a local kayak tour company, Lotus Land Tours. Renamed Lotus 18, it was intended to provide an easily propelled, stable ride for larger, novice paddlers.